The ocean and land play a vital role in the business of SeaTrek Sailing Adventures and the expedition travel company specialising in small-ship cruising adventures is well aware of its responsibility for their well-being. Munich/Bali, October 04, 2018: For the past 18 months, SeaTrek Sailing Adventures has been working with Bali-based non-profit organisation Kopernik, to provide and deliver clean energy technologies to remote communities across the Indonesian archipelago. Now, with this success in hand, the company continues to position itself as a dedicated conservation-oriented company. More than 30 years ago, SeaTrek pioneered small-scale expedition cruising in Indonesia with the dream of providing people with a unique opportunity to explore this beautiful remote part of the world by offering intimate adventure voyages. Ever since, social and environmental responsibility has been one of the core values to the company. Its cooperation with Kopernik in the providing of water filters and solar lamps has serious benefit to the lives of many people in the far-flung corners of the country. The company feels a strong responsibility for the oceans and communities of the archipelago and indeed this stewardship is at the very essence of its business. Knowing that plastic pollution is one of the biggest threats is just one example, and SeaTrek is actively taking steps to preserve the unique marine environment, which reveals astonishing natural wonders to employees and guests alike. 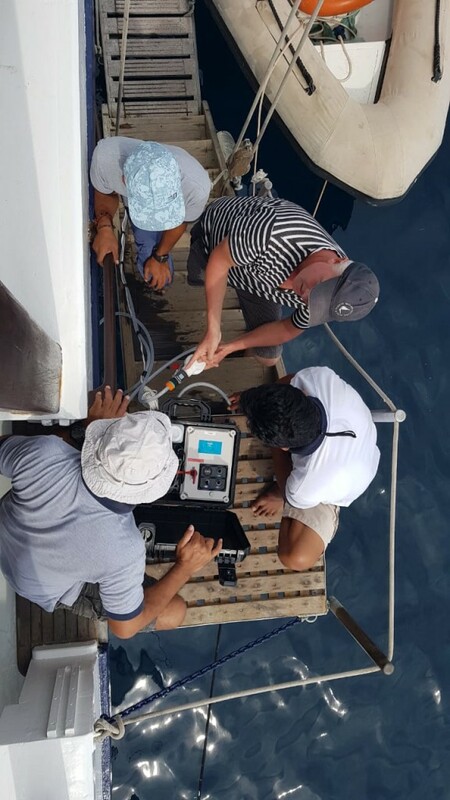 The company has recently teamed up with Indigo V, an organisation that encourages citizen science through boat owners to drag for micro plastics and microscopic biota while being out on the ocean. 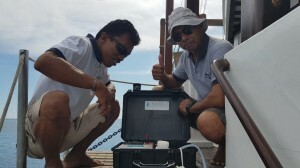 The Ombak Putih, one of SeaTrek’s two traditional motor sailors, is now equipped with a sustainably powered auto-sampling devices provided by Indigo V that will filter out micro plastics from the sea. Guests on board can participate by collecting the filtrate and see the effect that plastic has on the environment at first hand. As part of a world-wide programme, the collected data is sent to the headquarters of Indigo V and will help to identify the amount of plastic in the ocean as well as the “footprint” of the polluters. Furthermore, Frank Hyde, director of SeaTrek Sailing Adventures, is proud to announce that the company was recently accredited with three “Starfish” ouf of a possible five in WWF’s Signing Blue programme, officially showing that the business is run according to the long-term health of communities and natural habitats on and around the waters of Indonesia. Apart from taking actions themselves, SeaTrek also provides various sponsorship opportunities for NGOs who care for the environment. 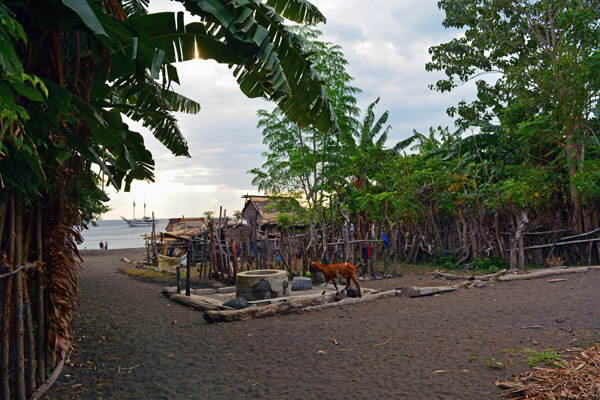 For example, the company supports NGOs like Water1st International, U.S. Wildlife Trafficking Alliance and CREST (Center for Responsible Travel) by donating cabins for auction. They also take this commitment to the grass roots level by supporting local people who are protecting their environment at the simplest of levels; be it saving giant coconut crabs from hunters on remote islands or bringing tourists to see birds of paradise in their forests – these local heroes, are the embodiment of stewardship, showing that by protecting local resources and making wildlife worth more alive than dead, they can help provide employment and increased livelihood for themselves while at the same time preserving the wonderful bounty of nature that surrounds them. By providing these opportunities for their guests, SeaTrek hopes to create ambassadors for conservation, and a hope for a better more sustainable world. For detailed information on SeaTrek Sailing Adventures, please visit www.seatrekbali.com. Alternatively, you can contact the European representative of SeaTrek Sealing Adventures at seatrekbali [at] tourism-unlimited.com or by phone: +49-89-673 78 619. Text: One of SeaTrek’s two traditional motor sailors is now equipped with a sustainably powered auto-sampling device provided by Indigo V that will filter out micro plastics from the sea. Text: Guests on board can participate by collecting the filtrate and see the effect that plastic has on the environment at first hand. Text: SeaTrek takes its commitment to the grass roots level by supporting the local people in the far-flung areas of Indonesia.